Home › Help the Homeless › Running at Midnight. Ok, So I exaggerate a little.. I was actually done before midnight. 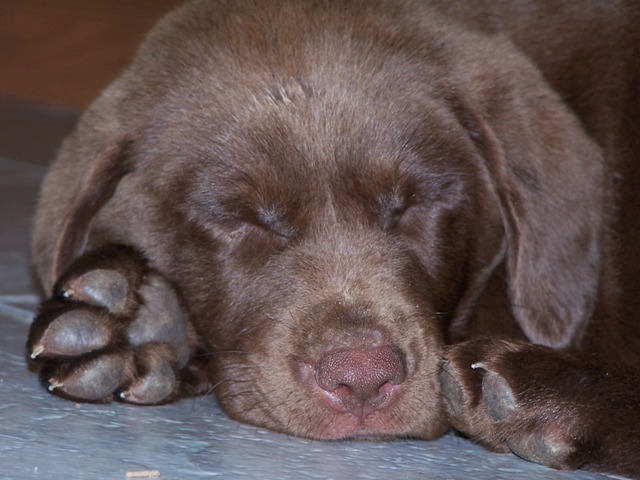 Here is a picture of a puppy. For no reason at all. Having been up late (hey! 11 is really late for me! I’m old!) the night before, there was no chance of getting up in the morning to work out. I had every intent of working out right after work, but I had forgotten it was my son’s night for his school open house. With It being middle school, this meant we got to follow his schedule and go from 15 minute class to 15 minute class as the teachers gave us their syllabus and told us all about how great our kids were. Over all I was impressed with all of his teachers but one. We showed up to her class, and she started a conversation with one mother for 5 (remember there is only 15 available) minutes.. Then expected us to stay past the time to move to the next class, so she could finish her speech. It bothers me when people expect respect, but don’t respect you.. But that is a whole other story. So… you know what that means. 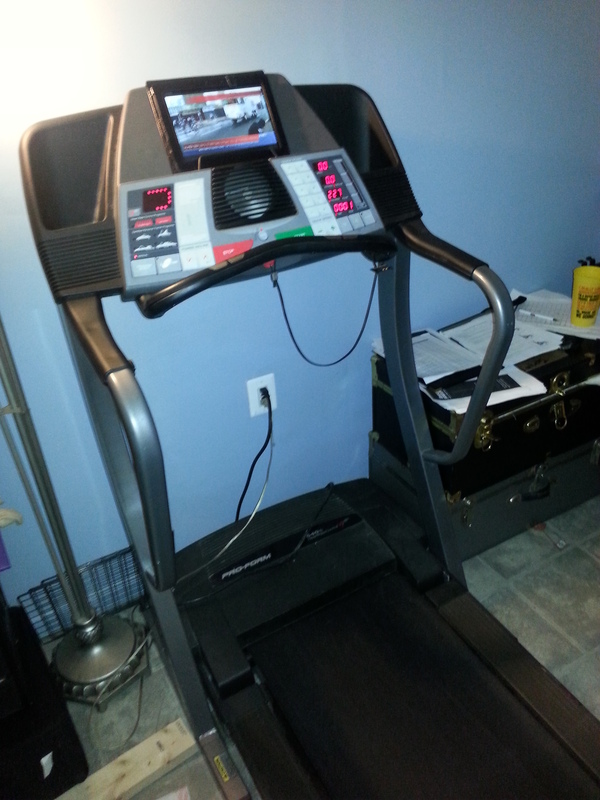 That’s right… The Dreadmill. I did have to finish the Transformers movie I had started the previous night, and since it was the finish it should mean lots of explosions! (Explosions help make the run go by faster.) 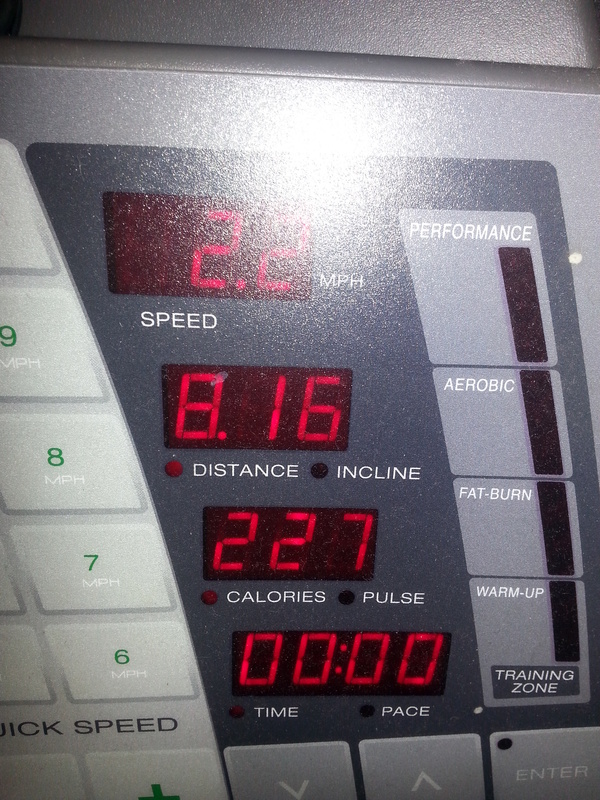 Sticking with my warm up idea, I again began with a walk on the treadmill, then dropped into a nice easy 6 mph pace. (6mph is the fastest I can go and still hear my earphones over the treadmill.) Overall the end of the movie was better than the beginning. There is something fun about watching giant robots turn from cars, into robots, into cars, into a hybrid of the too – all the while blowing up buildings and each other. Either that was the slowest 99.38 minutes ever, or I flipped the calories and it is really 1226 not 226! 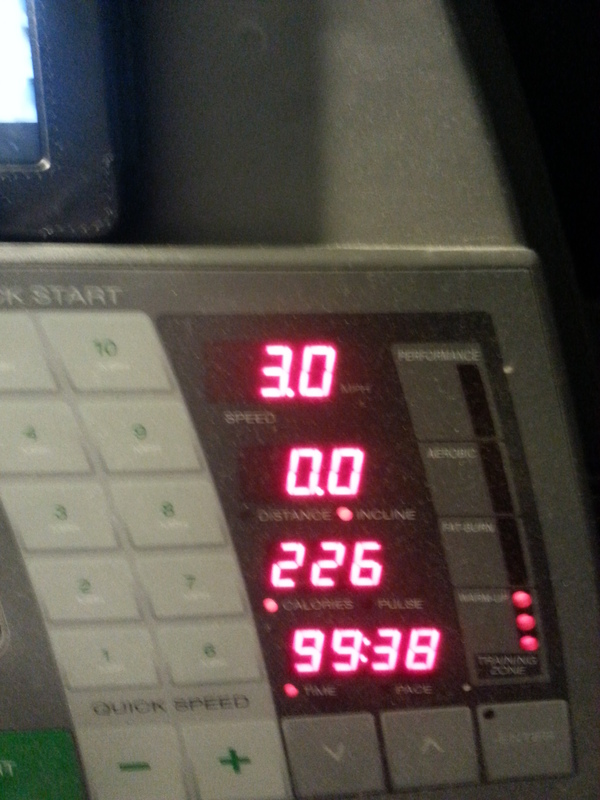 I did a total of 20 minutes warm up/cool down as well as 60 minutes of running. This was a fun run on the treadmill (well as much fun as it could be), as I flipped the calorie counter AND the time counter. I don’t know why, but I get a kick out of that. When the calorie flipped, it was worth noting – but no change of any real note as far as my putting one foot in front of the other, while watching a relatively bad movie. I of course stayed on until the time flipped – and the treadmill stopped as the numbers started flashing. I was thoroughly drenched when I finished. 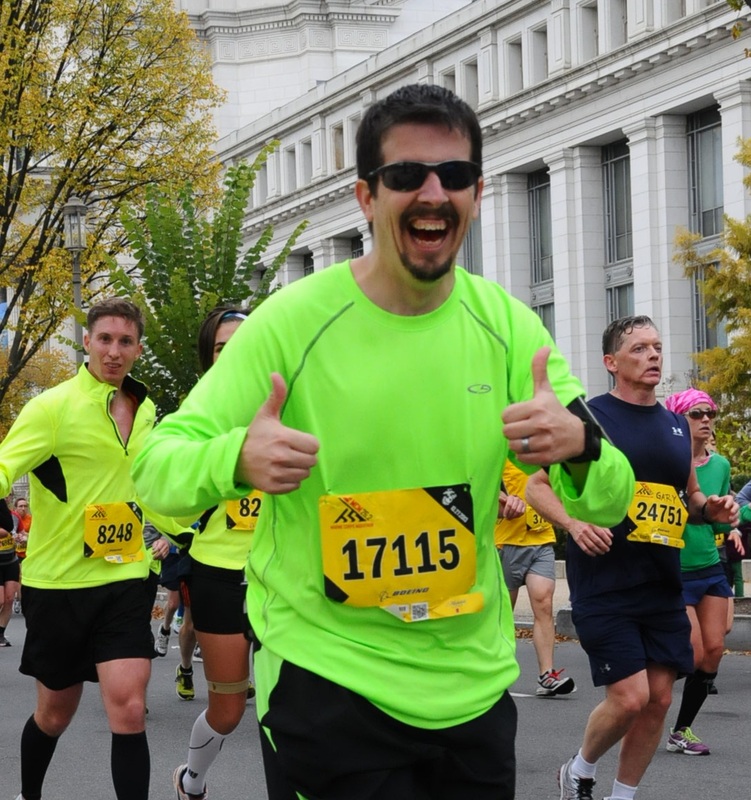 Apparently my air-conditioning can’t compete with running! I did follow-up with nice stretching – keeping my goal of increasing flexibility. I’m not sure if I am getting closer to my toes or not, but I do think that (overall) there is some minor improvement in my Plantar Fasciitis.. Well, Maybe even major improvement when you consider how much I have ramped up my mileage, and yet I have slightly less pain then I did before. I think perspective can be an important thing! You can donate by clicking the link in the top right corner of the blog. And as a way of saying thank you, I have some thank you gifts as well! For donations of $10.00 or more, I will send you a water bottle! We also will be doing a raffle for other items listed on the blog. I also just received some more items, including 2 gift bags from the Washington Redskins! Donate now for your chance to win, and make a difference in someone’s life!